These are photographs of children being ferried to school in small rickshaws specially made for the purpose. These rickshaws are usually fortified with iron or steel bars to protect the children. The first photograph is taken in Kolkata, West Bengal. The rickshaw is a cycle rickshaw turned into a school bus! A fairly economical way to travel for the toddlers. This picture is shot in Thane, a city near Mumbai in Maharashtra. 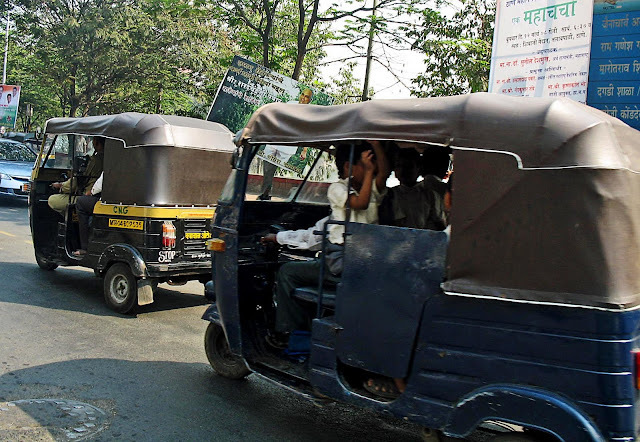 The autorickshaw has been altered to seat small children. The bars protect the children from the bumpy ride. 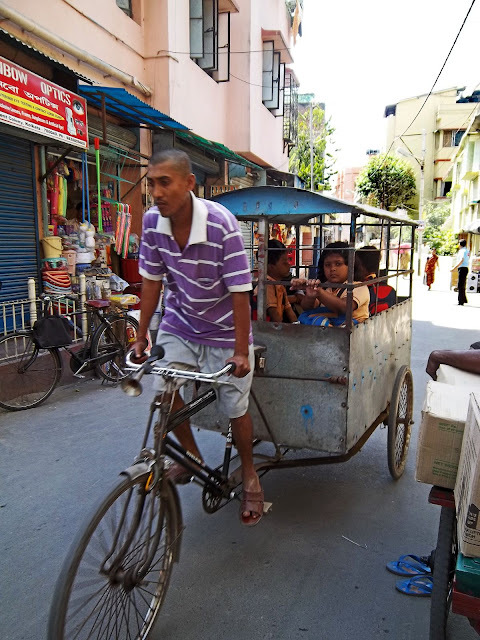 However, most of these rickshaws are packed with children and unsafe. 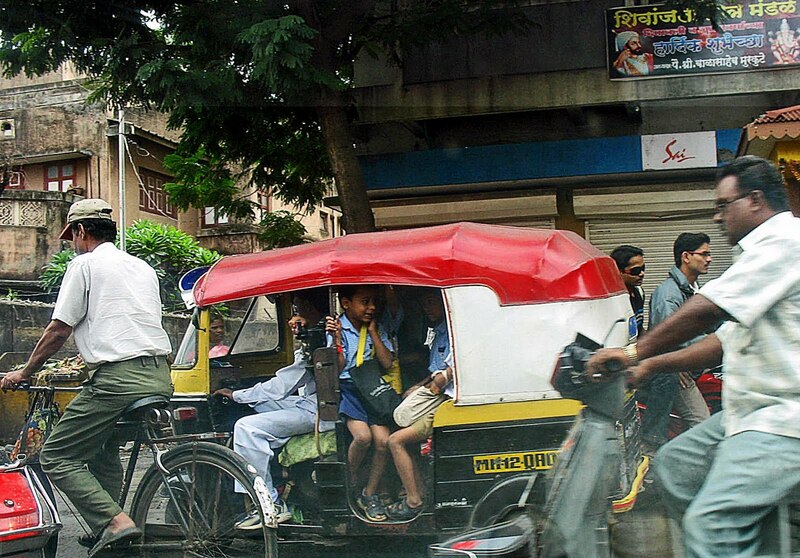 This photograph of school children packed and crammed in a small rickshaw. The picture was taken in Pune. Extra seats have been made in the front of the passenger seat to accommodate more children. The children themselves are quite happy, oblivious to the fact that this is dangerous.